The Dudley Observatory is the nation’s oldest non-academic organization dedicated to astronomical research. Chartered by the New York State Legislature in 1852, it is named after Senator Charles E. Dudley, an Albany merchant and political leader, whose widow, Blandina Bleecker Dudley, was the primary contributor to the Observatory’s construction. 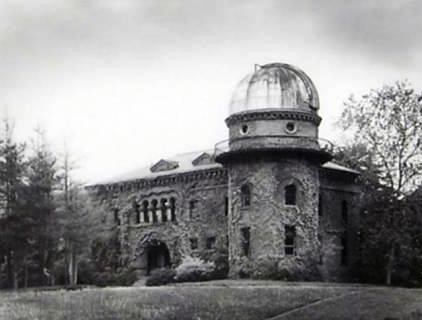 The first Dudley Observatory built c. 1854 on Dudley Heights in Albany, New York. The first Dudley Observatory was constructed on a hill in North Albany and was dedicated in a major ceremony on August 28, 1856. A second was built on Lake Avenue in southwestern Albany. 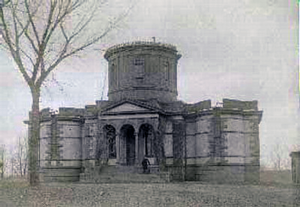 It was dedicated in 1893, and remained in operation until 1965. For nearly 120 years, the Observatory was directed by astronomers who conducted groundbreaking research in astronomy and space science. Among the most notable were Lewis Boss and his son, Benjamin Boss, who led the Observatory for a combined 80 years. During that time, Dudley astronomers achieved world-class status in the field of astrometry for their accurate determination of the positions and motions of more than 30,000 stars. They also produced two major reference works: Preliminary General Catalog of 6788 Stars (1909), and General Catalog of 33,343 Stars (1937). 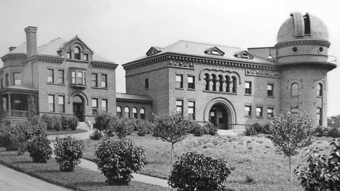 From 1905 until 1937, the Observatory served as the Department of Meridian Astrometry of the Carnegie Institution. In that capacity, it operated the San Luis, Argentina, Observatory from 1909 to 1913, where precise observations of star positions were made with the Dudley Observatory’s Olcott Meridian Circle. Discovery of the convergent point on the celestial sphere toward which the members of the Hyades star cluster are moving, an important step in the measurement of star distances. Discovery of the preferential motion toward one celestial hemisphere of the “fast” stars, those with high speeds relative to the sun, providing evidence that the Milky Way galaxy is rotating. Publication of the Astronomical Journal, the oldest astronomical publication in the U.S. Leadership in the study of micrometeorites, tiny particles less than one-ten-thousandth of a meter in diameter that bombard the earth from space. Since 1976, the Dudley Observatory has focused on providing astronomical educational activities in the Capital Region of New York State and has made its new home in partnership with miSci, the Museum of Innovation & Science in Schenectady where it presents programs and maintains an outstanding collection of historic scientific instruments, archives, library and rare books.